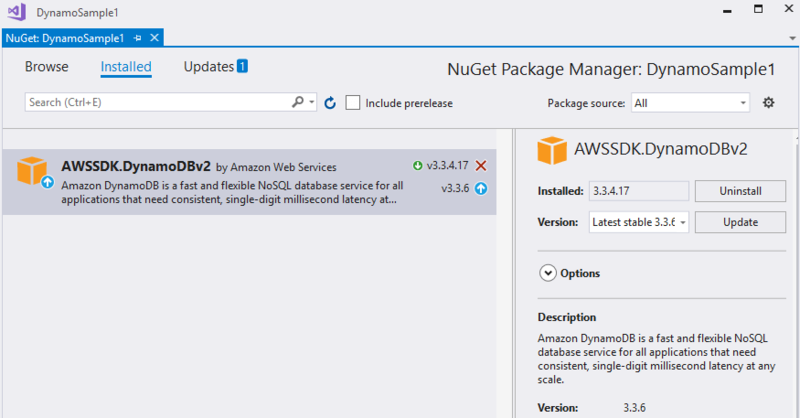 This article will show you how to create a WPF application and access data stored in a DynamoDB table by connecting to the AWS DynamoDB service. Create a new WPF application and add the following assemblies which you will need. 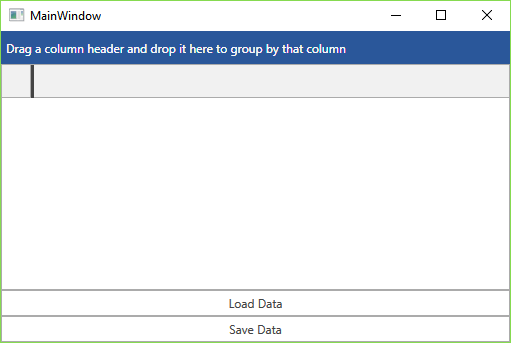 Now define the following XAML layout which consists of a RadGridView control to display the data and two RadButtons to load and save the data from and to the database. In addition you need to configure your AWS credentials. One way to do this is to specify the credentials in the App.config file of your application as demonstrated in Example 1. Now add a class called MainWindowViewModel to the example. It will handle all functionality for managing the DynamoDB database. Now when the table is ready you can add some data by adding the following method to the viewmodel. You can then invoke the AddCustomers method in the constructor of the viewmodel. Now set the DataContext of the Grid to the MainWindowViewModel so that the table is created and the entries are added. Now you are ready to populate the RadGridView control with the data by iterating over the records in the database and adding items to the Customers collection. All that's left is to handle the click of the two RadButtons. For the purpose, add two commands to your viewmodel. This example uses the DelegateCommand class provided by the UI for WPF suite, but you can replace this with an implementation of the ICommand interface. As you can see in Example 10, the LoadCustomersCommand in turn calls the logic of the LoadData method which we already defined and used to initially load the data. All that's left is to bind the command of the "Save Data" button. The SaveChanges method it is pointing to iterates over all rows and updates the respective items in the database. 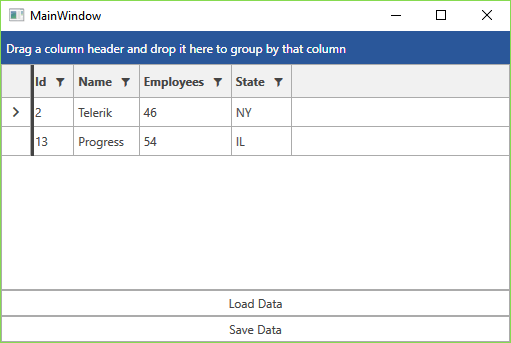 The changes made in the RadGridView control will now be reflected in the database when you click the "Save Data" button.